FRAMINGHAM, Mass., October 31, 2017 – International Data Corporation (IDC) today announced its worldwide information technology (IT) industry predictions for 2018 and beyond. 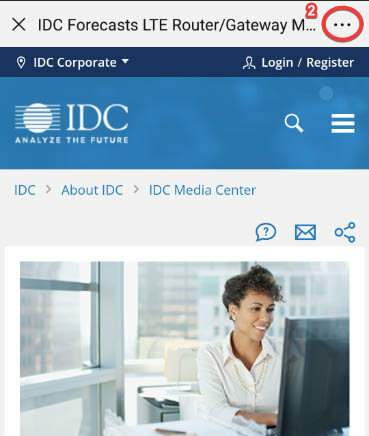 The predictions were published in a new IDC FutureScape report and presented in a live Web conference hosted by Chief Analyst Frank Gens. 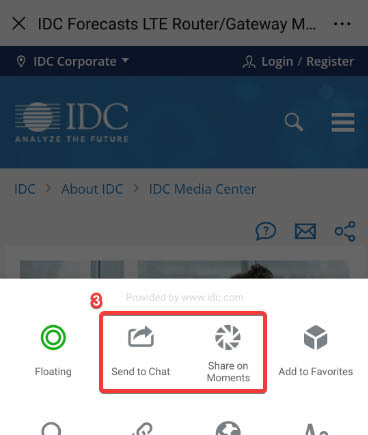 Both the report and an on-demand replay of the Web conference are available at https://www.idc.com/events/futurescapes. IDC has spent the past ten years chronicling the emergence and evolution of the 3rd Platform, built on cloud, mobile, big data/analytics, and social technologies and further enabled by Innovation Accelerators such as the Internet of Things (IoT) and augmented and virtual reality (AR/VR). Over the past several years, IDC has focused on the digital transformation (DX) that enterprises must undergo as they adopt these technologies and the DX economy that is emerging from the innovative use of these technologies. Today, the 3rd Platform story is well into its second chapter and moving into full stride, unleashing "multiplied innovation" through platforms, open innovation ecosystems, massive data sharing and modernization, hyper-agile application deployment technologies, an expanding digital developer population, the blockchain-fueled rise of digital trust, richer artificial intelligence (AI) solutions and services, deeper human/digital interfaces, and a much more diverse cloud services world. "We said last year that the rising digital economy means all enterprises must operate like 'digital native' enterprises, rearchitecting their operations around large-scale digital innovation networks and becoming, in effect, a new corporate species," said Frank Gens, Senior Vice President and Chief Analyst at IDC. "While some of our predictions for 2018 and beyond continue to lay out a strategic blueprint for enterprises on their digital transformation journey, others introduce critical new building blocks for becoming digital native enterprises." 1. By 2021, at least 50% of global GDP will be digitized, with growth in every industry driven by digitally-enhanced offerings, operations, and relationships. This is the ticking clock that is (or should be) driving every organization to move quickly along its digital transformation journey. Organizations that are slow to digitize their offerings and operations will find themselves competing for a progressively shrinking share of their market segment's opportunities. And the time frame is short: organizations must make significant progress in transforming to a digital native model over the next three years. 2. By 2020, 60% of all enterprises will be in the process of implementing a new IT foundation as part of a fully articulated organization-wide DX platform strategy. IDC defines this new "DX Platform" as the future enterprise IT architecture that will enable the rapid creation of digital products, services, and experiences, while at the same time aggressively modernizing the internal "intelligent core." The DX Platform will be externally facing, API enabled, and data driven. Organizations that can re-architect for scale on a DX Platform will be the most likely to emerge as digital native enterprises in the near term. 3. By 2021, enterprise spending on cloud services and infrastructure will be more than $530 billion and over 90% of enterprises will use multiple cloud services and platforms. Adopting the cloud is no longer primarily about economics and agility – it is becoming enterprises' most critical and dependable source of sustained technology innovations. Cloud resource management and integration of resources across multiple cloud platforms will become critical capabilities for IT organizations on their DX journey. The cloud environment will also expand to the edge, with more than 50% of companies in consumer-facing industries spending aggressively to upgrade their cloud resources in edge locations. 4. By 2019, 40% of digital transformation initiatives will use AI services; by 2021, 75% of commercial enterprise apps will use AI. An "AI war" is looming as the major public cloud service providers offer an ever-expanding variety of AI-powered services. Digital services and apps without "AI inside" will quickly fall behind competitors' pace of innovation. Developers will be the critical population to watch as IT organizations must acquire AI engineers and data scientists to support the large number of DX initiatives that are AI dependent. 5. By 2021, enterprise apps will shift toward hyper-agile architectures, with 90% of application on cloud platforms (PaaS) using microservices and cloud functions and over 95% of new microservices deployed in containers. As enterprises create new services for the digital economy, they will need to deploy a rapidly increasing portion of them in an entirely new way: taking advantage of the scalability, flexibility, and portability of an emerging set of "hyper-agile" application deployment technologies and approaches. These new foundation technologies and approaches will enable dramatic growth (10x) in the number of applications and microservices, driven by a new generation of hyper-verticalized digital solutions. 6. By 2020, human-digital interfaces will diversify, with 25% of field-service technicians and information workers using augmented reality and nearly 50% of new mobile apps using voice as the primary interface. IDC believes augmented reality (AR) will revolutionize the role of field service worker by offering a rich set of options including image overlay, access to technical updates, and visual communication with supervisors and subject matter experts. Similarly, AR will fundamentally change the way information workers collaborate and interact with digital information. And voice is already well on its way to becoming the default interface for a wide range of enterprise smartphone apps. 7. By 2021, at least 25% of the Global 2000 will use blockchain services as a foundation for digital trust at scale. At the core of blockchain is distributed ledger technology (DLT) that offers the potential to support digital trust at scale by providing one version of the truth (secure information), transfer of value (secure ownership records), faster settlements, and smart contracts (automated buying and selling). IDC expects blockchain ledgers and interconnections to evolve at a slow and steady pace over the next 36 months. Early adopters will have the opportunity to establish very strong positions in the ecosystem, while slower adopters will not be entirely boxed out but should be exploring use cases. 8. By 2020, 90% of large enterprises will generate revenue from data-as-a-service. 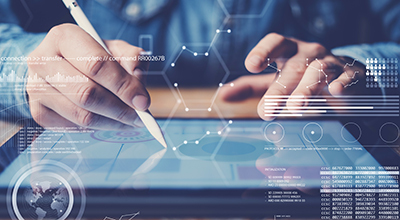 Enterprises' ability to create, derive, and manage high-value data for their own use – and gain financial leverage by packaging some of that data for the marketplace – will quickly become an important metric in enterprise valuations. Similarly, relevant and high-value data will be a key component determining an enterprise's value and power in the world of digital developers and ecosystems. Establishing a critical mass of external data feeds will also be a critical ingredient for any AI-based digital services and solutions. 9. Improvements in simple (low-code/no-code) development tools will dramatically expand the number of non-tech developers over the next 36 months. Low-code/no-code software accelerates the development process and gives business stakeholders an enriched toolbox for using technology to solve business problems. This means that an expanding population of business (non-IT)-rooted developers will be able to create increasingly sophisticated digital innovations. Successful enterprises will tap into that potential by maximizing access to these tools and propagating an "everyone's a developer" culture. 10. By 2021, more than half of the Global 2000 will see an average of one third of their digital services interactions come through their open API ecosystems, up from virtually 0% in 2017. The creation of open APIs – and developer ecosystems around them – will allow enterprises to massively scale distribution of their digital platforms and services through third-party digital innovators, accelerating adoption and revenue. Over the next 36 months, IDC expects DX leaders will start to put much greater strategic focus and investment into their open API-based external developer ecosystems and distribution networks. Companies that fail to take this step will be on a fast track to marginalization in the DX economy. IDC's worldwide IT industry predictions are presented in full detail in the report, IDC FutureScape: Worldwide IT Industry 2018 Predictions (IDC #US43171317). Copies of this report are available to qualified members of the media. To request a copy of the report, or to schedule a one-on-one interview with Frank Gens, please contact Sarah Murray at 781-378-2674 or sarah@attunecommunications.com. An on-demand replay of IDC's Worldwide IT Industry Predictions Web conference will also be available, along with nearly 40 other FutureScape Web conferences, covering topics including Digital Transformation (DX), the CIO Agenda, the Internet of Things, Smart Cities, Cloud, and industry-specific presentations. To register for any of these events, please go to http://www.idc.com/events/futurescapes.